Like Kyle, Jared has been preparing for marriage over the last few years. He has grown in his career and his ability to provide for a family, he has pursued accountability, he has taken on leadership roles in his church, and he has initiated other courtships. Bethany’s example, however, has also inspired another important revelation about their relationship. Jared has noticed that whenever he begins to feel uncertain about the direction of their relationship, it is directly correlated to the status of his relationship with God. Whenever he has begun to be perfunctory or slipshod about his personal devotions, he also becomes uncertain about the courtship. 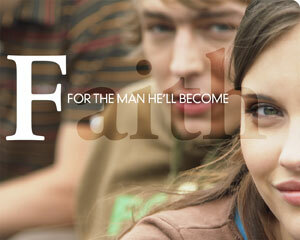 His relationship with God profoundly affects his relationship with Bethany. But God uses Bethany’s example and faith to inspire him to keep going. It is an exchange of grace.